Plan to have all of the required tools and supplies handy before embarking on any furniture projects. Preparation and planning work will ensure the process of building the furniture will be as smooth as possible. Include screws and nails of various sizes and small items, such as sandpaper and pencils. Write down every measurement encountered, both in the planning and the cutting process. While the design may suggest one measurement, the actual result may look better if it was ½ inch longer or thicker. Write down any changes to existing designs. Choose the appropriate type of wood for the project. While plywood may be ideal for shelving units, lumber may be better for tables and chairs, for example. 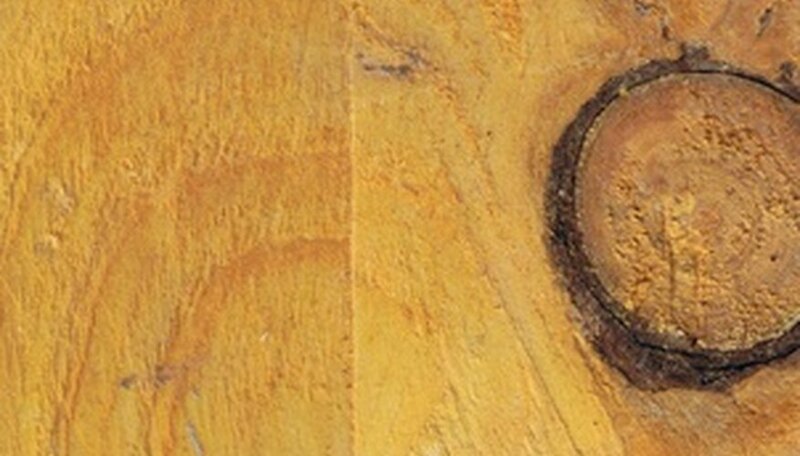 Even then, there are many types of lumber that are different in terms of color, feel and texture. Before embarking on a specific project, research different types of lumber and their characteristics. Ensure that cut wood, whether done at home or pre-cut at a store, is straight and level. Have a level at hand and test the wood before attaching any piece of wood to anything. Have sandpaper in hand after cutting wood of any size or shape. Use sandpaper to smooth edges and surfaces to help prevent cracks in the wood and splinters. Use stud finders to locate studs in the wall. Do this before hanging or mounting anything to the walls, including shelves or support for units. It is a common misconception that walls can hold most things, when it is often the wall studs that hold and offer support to hanging furniture units. Use pre-cut moldings to decorate wooden furniture, such as shelving units or door frames. While moldings can be cut at home with specialized saws, they are often purchased and installed at home by homeowners. Moldings can be found at most hardware stores and are often inexpensive. Paint or stain wood before assembling the furniture. Some wood soak up more paint and stain than others, so several coats are often required for a bold look. Let such pieces dry overnight before assembling.